QuiltCon registration begins Thursday (June 25th) for Modern Quilt Guild members at 7 AM Pacific Time. General registration opens July 1. I’ll be teaching 4 workshops (two on EQ, and two on Free-Motion Favorites). I will also be a panelist for a discussion on how I stash my fabric, moderated by Rossie Hutchinson. Click here for descriptions, times and dates for each of my workshops. 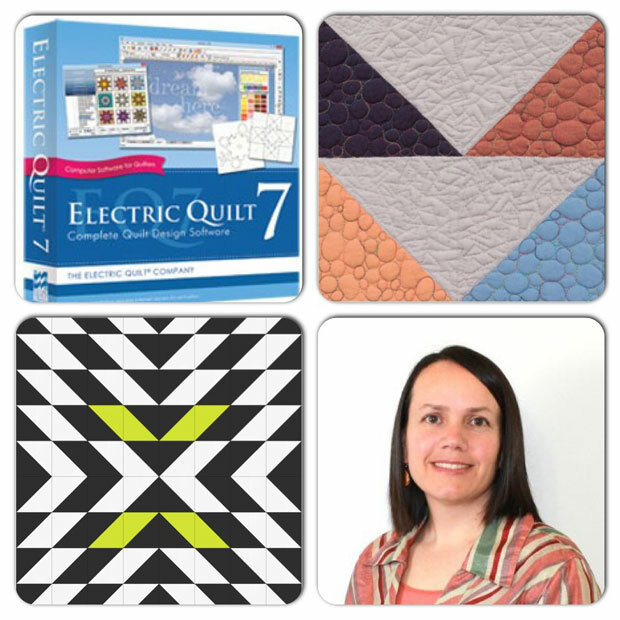 Click here for the QuiltCon class schedule and catalog. If you are an MQG member, be sure to register ASAP! The first 1000 paid registrations get a free goody bag. AND if you register by November 30th, you get free admission to the show. How great is that?! Are you planning on attending? If so, I can’t wait to see you there! PS – If you are new to my blog, be sure to sign up for Friendly Threads, my email newsletter.